Bitmain, makers of the most popular bitcoin mining rigs, just announced they cleared the billion mark for profits in Q1 of 2018. To put this number in perspective, the total value of all BTC mined in the first quarter of 2018 was $1.3B. And latest projections have Bitmain clearing the $3B mark by the end of the year. But it doesn’t stop there. In a leaked email reported on by Fortune, the team at Bitmain are considering filing for an IPO very soon. Looking to continue this success by avoiding controversy, Bitmain also put out a blog post claiming they don’t engage in ‘secret mining’ of their rigs. However, one author claims he found proof of just the opposite. Bitcoin has a problem. The community can’t decide on what its actual use case is, which is leading some to believe that unless one answer can be agreed upon, it will never survive. 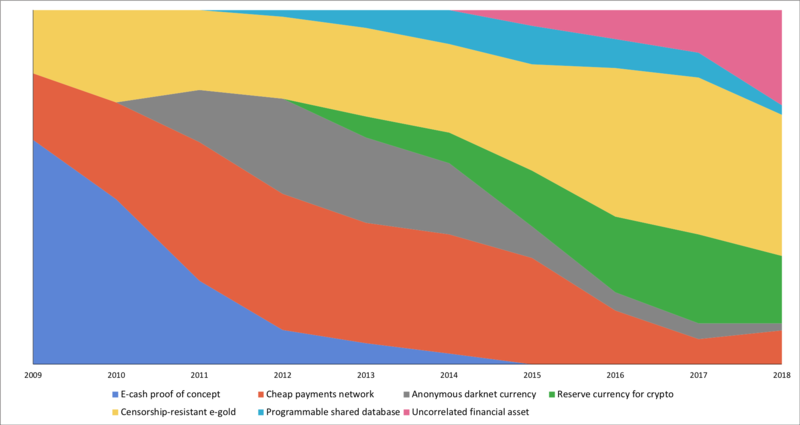 Nic Carter of Coinmetrics just published a nice analysis of how the functional narrative around bitcoin has changed over time – (roughly) from e-cash, to e-gold, to private currency, to a reserve cryptocurrency, and to a programmable shared database. Nic believes that these changes are healthy and will lead to a more multimodal use case. Beyond the hype and mania surrounding crypto, something profound is happening — the creation of entirely new digital asset classes. Understanding these various types of cryptoassets (and the different functions they serve) is crucial to thriving in this new decentralized digital economy. Here are seven that you need to know. A Crypto Ponzi Scheme is Brewing… You Want To Join? Millions are being sent to an Ethereum smart contract game that might never end, even as the pot recently passed 21.7K ETH with a total of 96K ETH ($44M!) invested. Labeled a “psychological social experiment in greed”, this incredible concept of a game plans to attract buyers and possible hackers for years to come. Here’s a Twitter breakdown of the ramifications with a game like this. 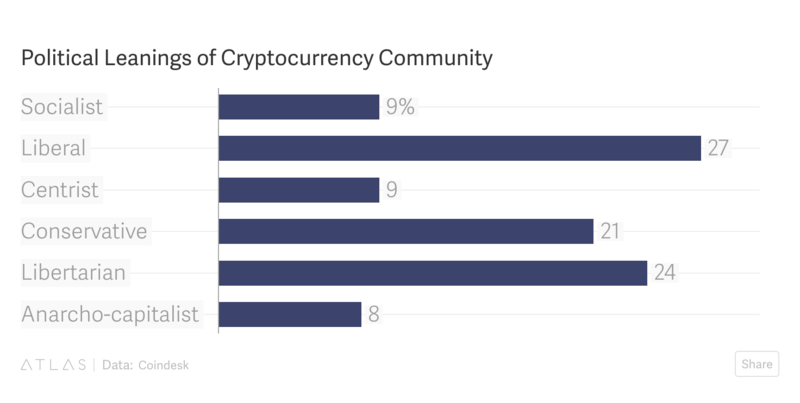 If you had to guess the average crypto HODLers political leaning during the 2016 election, you’d probably guess they voted third party or Libertarian. Back in 2016, this would probably have been the case, but as we fast forward two years, the political leanings of crypto enthusiasts seems to be shifting. A recent Gallup study showed what many people know but few have proven – that people are interested in bitcoin, but haven’t yet jumped in. The study claimed that there are 13x more people interested in bitcoin then those who have actually purchased some. Untapped market anyone? If Your First ETF Doesn’t Succeed, Try Again..? The U.S. Securities and Exchange Commission (SEC) published their decision on the Winklevosses’ effort to list a bitcoin ETF, denying the brothers again and adding another damper to the possibility of a bitcoin ETF ever coming to fruition. Though not unexpected, many dove deep into explanations the SEC gave for denying the ETF, and came out perplexed and annoyed with the reasonings given for the rejection. Nasdaq recently held a meeting with many big names in crypto, including representatives from the Gemini exchange. Among topics discussed were the implications of future regulation for cryptocurrencies, what the necessary tools are, and what surveillance will be needed. Here’s what went down. LOOM (LOOM) has return to support from its brief drop into price discovery. We’ve seen its breakout from the ascending triangle and anticipate a move up after retesting the 2200 line. LOOM is in the top 100 coins and with an attractive $2.4 mln daily volume. 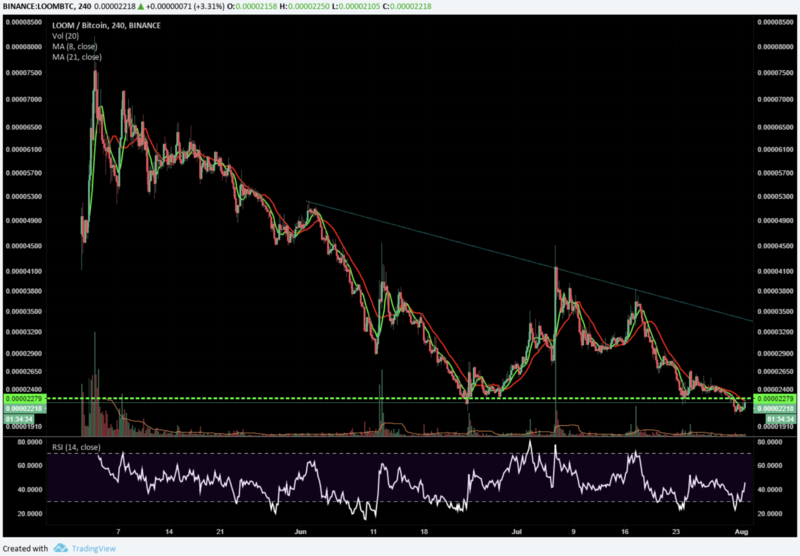 This coin is primed for a run. Bill Clinton to open a cryptocurrency conference later this year. Queue the memes.